Virajpet is a hill town, situated in the Coorg district of Karnataka. The place is popular with nature lovers and has numerous hills and lakes that are worthy of exploration. Many temples in the region also attract thousands of devotees from all across the state. Virajpet is located at a distance of about 240 kilometers from Bengaluru and holds the unique distinction of being the largest honey producing center in Asia. Below, we look at some of the places you should visit near Virajpet. This scenic lake is a favorite picnic spot for many visitors who come with family. The place makes for a good relaxation destination and is covered with a canopy of trees all around. The atmosphere is so calm that you can see a clear reflection of the hills in the waters of the lake. Gonikoppal is the headquarters of the Coorg Adventure Club, and is a must visit place if you want to spend your holidays participating in some adventure sports like windsurfing, para-sailing, paragliding and so on. The town is situated approximately 17 kilometres away from Virajpet. 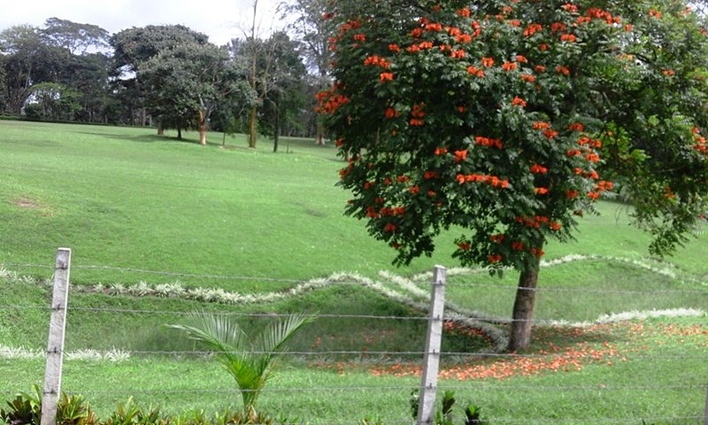 Famous for its coffee and tea plantations, Pollibetta is the place to visit if you are looking to relax and laze around. The estates are managed by the Tata Group and the tiny cottages make for a cozy place to stay and recharge. Additionally, there is a Buddhist temple located nearby which you can visit in case you suddenly feel spiritual. 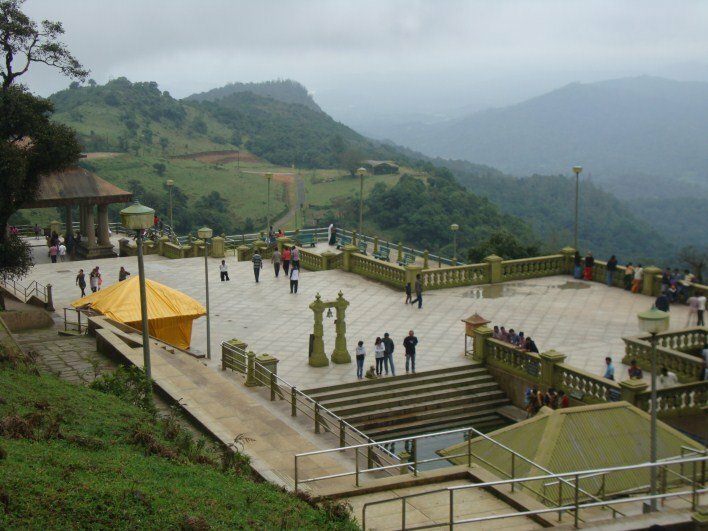 Located 58 kilometres from Virajpet, Talakaveri is a popular pilgrimage destination for many people. The region is considered to be the source of the River Kaveri. 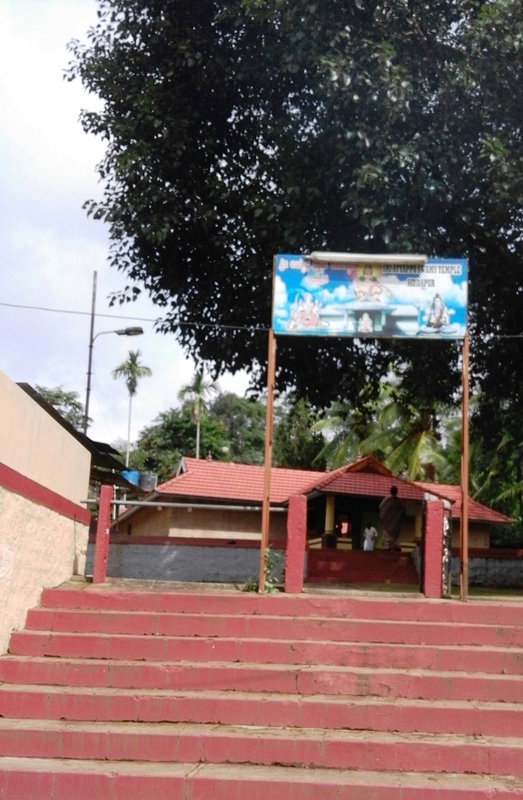 The temple of Talakaveri (Talacauvery) is dedicated to Goddess Kaveriamma. A series of steps will take you to the top, from where you can view the scenic mountain backdrop cloaked in mist. 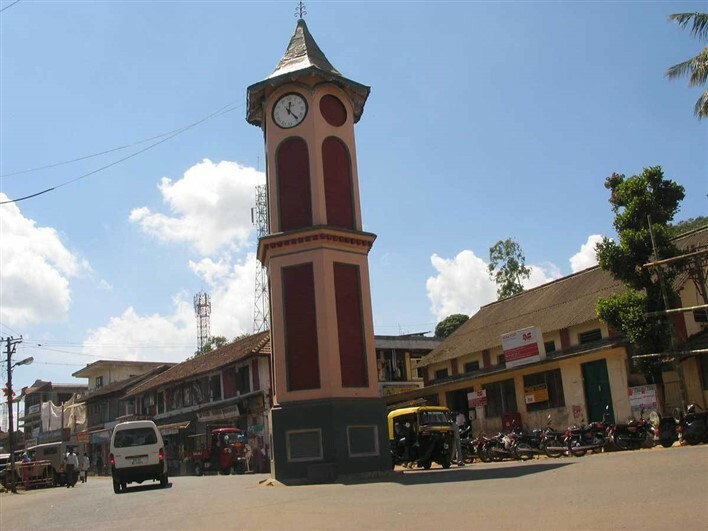 Built almost a century ago to commemorate the visit of King George V, the clock tower is one of the most well-known landmarks near Virajpet. Check out the tower if you ever pass by the town. A Ganesha temple also exists nearby the tower. This temple is dedicated to Lord Shiva and is located on the Malethirike hill. From the hilltop, you will get a bird’s view of entire Virajpet. This is a very popular religious place and is often packed with devotees all year long. Located near the Kaveri River, Siddapura is known for the numerous coffee plantations and paddy fields which adorn the region. 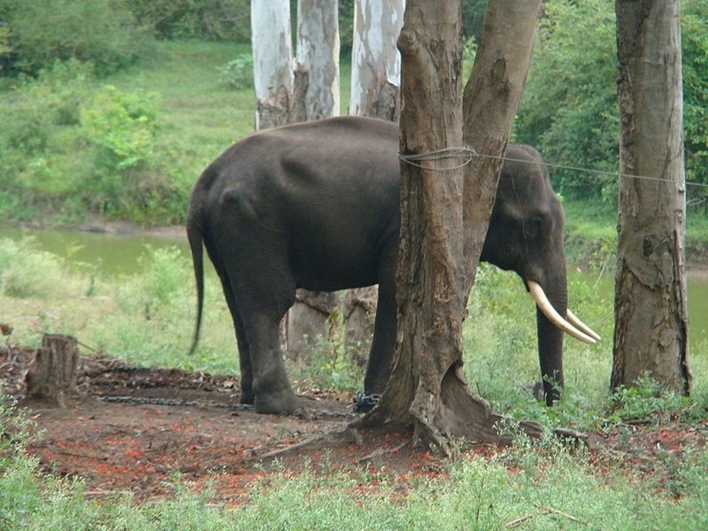 A place most visitors check out when in Siddapura is the Dubare Forest Reserve, which is an elephant camp. You can also visit the Burude Waterfalls, which flows through in two tiers and five steps. Siddapura is located about 15 kilometres from Virajpet. Regarded as one of the most beautiful waterfalls in the region, it is surrounded by lush coffee plantations. In the local language, it is known as ‘Embepara,’ which translates to ‘Tortoise Rock.’ Also, just 2 kilometres from the place is the scenic Chomakund Hill, which is covered in fog most of the year. Constructed in the European – Gothic style in 1792, St Anne’s Church is surrounded by paddy fields all around, while the Malethirke Hill acts as the perfect backdrop. The 180 feet steeple will remind you of a huge candle. A very famous temple near Virajpet, the presiding deity is sacred for the residents of Kodavu and is said to be the Lord of Rains. According to legends, the deity of the temple is a form of Lord Subramanya and is depicted as a serpent with an open hood. The temple was built in 1153 CE and is located on top of a hill in Kakkabe. The carvings on the temple depict the daily lives and culture of the Kodavas. 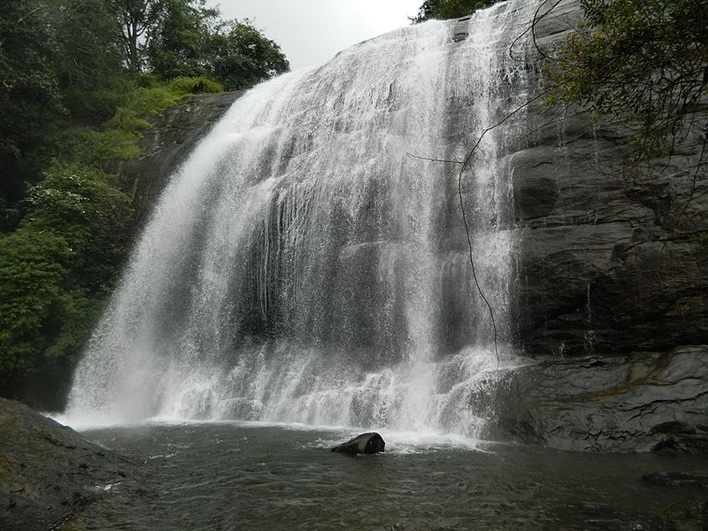 This is a well-known bird watching spot and is located approximately 7 kilometres from Virajpet town. In addition to the birds, the thick forestry is also home to some amazing wildlife. The place also has some of the world’s most ancient war trenches, a few of which have been dated as far back as 888 CE. If you’re looking for a religious getaway, you can head over to the Bhagavathi Temple or the Ganesha Temple nearby. You can wind up your visit to Kadanga at Soma Male where you can relax and watch the beautiful sunset. Come, explore the places near Virajpet and have a wonderful time you cherish forever.